Ambitious & Highly Anticipated Social Strategy MMORTS 'WorldAlpha' Pending Immediate Launch! IndieGoGo & Founder's Pack Supporters Granted Early Pre-Launch Access! Milton, July 24th 2013: Independent games developer "Big Impact...read more. Create a business empire by producing over 230 different products from raw materials to mansions. Hire employees, schedule production, buy and sell your goods in a player-driven economy. 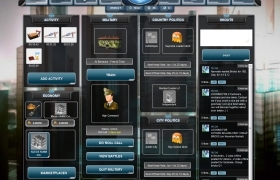 Join your city or country military, and working your way up the ranks from soldier, to crew commander, to unit officer, and the your country's High Command. 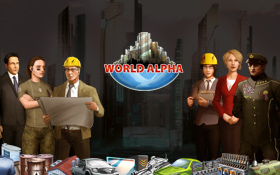 Become the Head of Government for your city or country, and engage in diplomacy with leaders of the other countries of WorldAlpha.